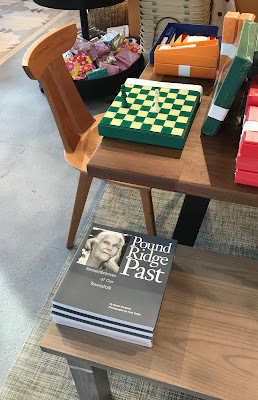 Did you know that Frank Morgan ("The Wizard of Oz" himself) lived in Pound Ridge? Or that Tallulah Bankhead hung out at The Inn at Pound Ridge? Read all about it in POUND RIDGE PAST! POUND RIDGE PAST is a collaboration of Bonni Brodnick (author, writer, contributor to HuffPost and former "Talk of the Town" columnist for the Bedford/Pound Ridge Record-Review), Gina Federico (graphic designer, writer on modern houses, modern architects, and modern design) and Fran Collin (food, celebrity and portrait photographer).